Swopt Cleveland Cleaning Company™ is a brand created by one of our clients, Winston Products®. 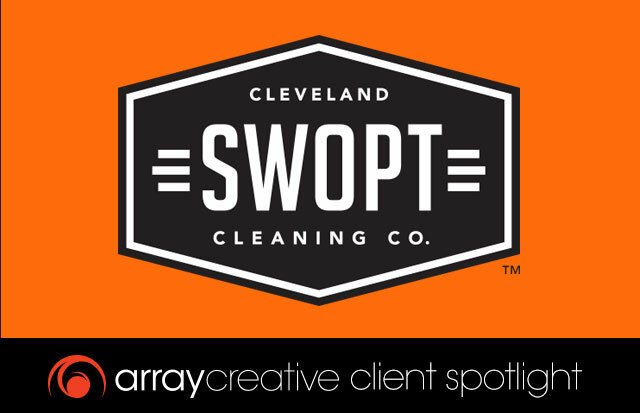 Cleveland Cleaning Company passionately develops cleaning tools that combine old-world craftsmanship and innovative design. Hardworking homeowners and skilled professionals can confidently ‘swop’ out their obsolete brooms and mops for the new authority in cleaning. Winston Products challenged Array with building Swopt from the ground up. Marketing and competitive analysis came first. Next, we moved on to brand positioning, logo development and packaging design. Merchandising concepts along with sales presentations were then developed for the Winston team. The Swopt brand and packaging guide rounded out the mix. The project objective was to revolutionize the category and gain placement by retailers. Array’s partnership with Winston Products has allowed Swopt to become the trusted household brand for cleaning products.